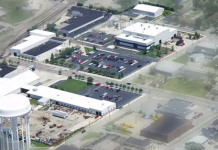 Midwest Fertilizer Company LLC has announced another step forward in its plan to establish a $2.8 billion state-of-the-art manufacturing plant in southwest Indiana, after several delays. 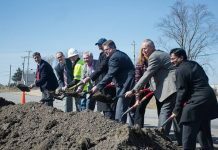 Construction of the facility, which will begin in 2018, is expected to support more than 2,500 jobs, the Indiana Economic Development Corp. (IEDC) says in a news release. 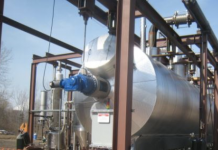 The company says it will build its nitrogen fertilizer production plant on 220 acres in Posey County, representing one of the largest fertilizer manufacturing investments in the U.S. in more than 20 years. 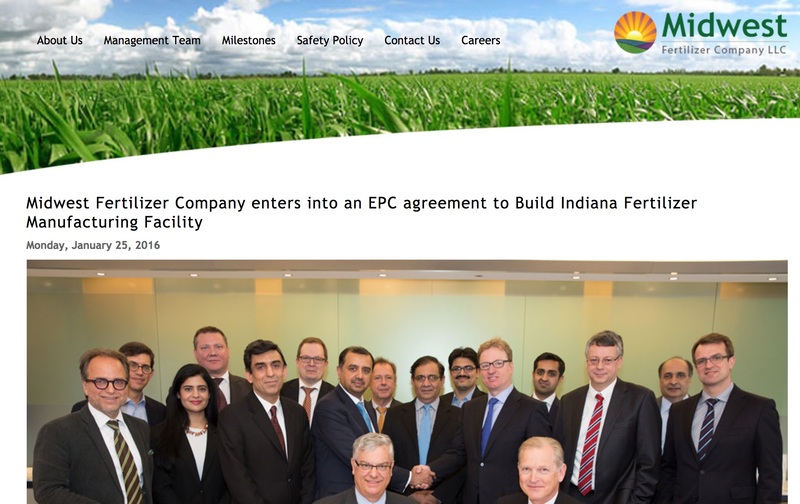 IEDC says that Midwest Fertilizer is a new U.S. company to be owned by multinational investors, including Pakistan-based Fatima Group, which is a leader in the south Asian fertilizer industry. The new facility will incorporate the latest technologies to ensure safety for workers, the community and the environment, and has earned support from the U.S. Department of Defense, the IEDC announcement asserts. Earlier this year, local officials said they remain confident the fertilizer plant will be built even though more than four years had passed since its original announcement. The fertilizer company said in February it was negotiating a new construction contract for the project near the Ohio River city of Mount Vernon after the previous deal expired in December, 2016. Wright told the Evansville Courier & Press he remains confident the plant will be successful, even though the original construction start time had been set for 2016. 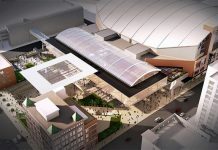 Midwest Fertilizer disclosed that proceeds from a $1.26 billion bond issuance, which was a state incentive for the project in 2013, were facing an Internal Revenue Service audit to determine compliance with federal tax requirements, the Courier & Press reported. The bonds originally were made available as part of a federal disaster relief package. 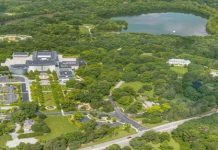 “While the outcome of these audits cannot be predicted, the company believes that the IRS examinations should close with no change to the tax-exempt status of the bonds or the refunded bonds,” the Midwest Fertilizer disclosure stated. In its July 27 announcement, IDEC says it has offered the company as much as $2.9 million in conditional tax credits and up to $400,000 in training grants based on the company’s job creation plans. 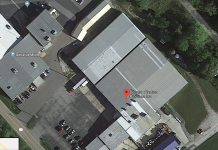 The IEDC also offered up to $300,000 in conditional incentives from the Hoosier Business Investment (HBI) tax credit based on the company’s planned investment.